Stamps are often regarded by some as a miniature painting that traces one country’s history, geography, culture, and art. The United States, being one of the centers of commerce in the world, has prominently developed a great historic development on their postage stamps. This led to the efficient materialization of their mailing system. Apart from this, USA postal stamps have enticed many of our current stamp collectors due to the unique story that each stamp bears. Like the usual stamp designs, the USA postal stamps also feature notable individuals, such as US presidents, scientists, and other personalities whohave clearly contributed to the country’s rich history. While some of the commemorative stamps, especially those considered as rare US stamps, reveal the ideological and cultural modifications that US has undergone through time. The introduction of the first adhesive postage stamps, with Franklin and Washington being accentuated on the prints, happened during 1840s and were issued by the US Post Office Department. Later on, postage stamps attributed to Thomas Jefferson, Andrew Jackson, and Abraham Lincoln were released. Came the succeeding eras where the US has already featured in their postal stamps a number of personalities who played significant roles in their culture and history; and up until now, the state has continued giving honor to such individuals by imprinting their faces in their postal stamps. Stamps’ collecting in the country has extremely gained popularity. Aside from the fact these stamps pay high regards in US’s history, another reason why many have been engaged in collecting US stamps is because these stamps can be easily found in the state. 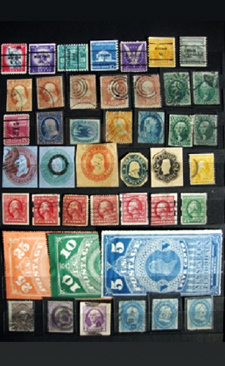 More of being a hobby, stamps’ collecting in the US has been regarded as another form of investment. As for instance, the American Stamp Dealers Association (ASDA), being one of the notable international philatelic organizations of stamp dealers, dedicates itself to be one of the many groups that keep the stamp collecting and trading industries thriving. By doing such, sales coming from selling stamps (though costs of US stamps are relatively low) has also been considered as one of the country’s major sources of income. In the US alone, millions of collectors have been associatedalready with collecting stamps, may it be the rare ones or the new ones. And still, many have been exploring this industry not just because they want to earn money, but more of knowing and getting acquainted with the amusing accounts of history of their country that they can get from these stamps. Make sure that you get the freshest and the finest collection of US stamps. Contact Treasure Coast Stamps now!